Islamist movements such as al-Qaeda, ISIS, the Muslim Brotherhood, Hizb ut-Tahrir and Boko Haram share a common ideology, which constitutes a very real and rapidly evolving threat not only to international peace and security, but also to the noble values of religion itself. In response, renowned Muslim theologians from the Nahdlatul Ulama (NU) have joined world-class scholars from the University of Vienna’s Institut für Orientalistik, to create the Vienna Observatory for Applied Research on Terrorism and Extremism (VORTEX). 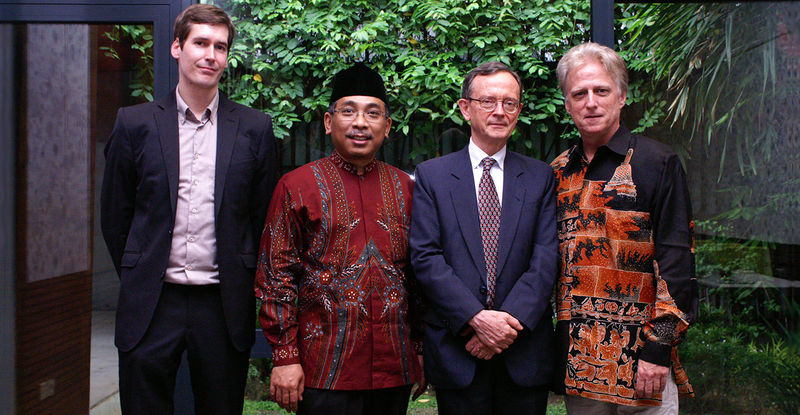 Dr. Rüdiger Lohlker, a senior professor of Islamic Studies at the University of Vienna and respected counter-terrorism advisor to the European Union and various Western nations, heads VORTEX, along with research fellows Dr. Nico Prucha and Dr. Ali Fisher. LibForAll Foundation has worked closely with Dr. Lohlker since 2014. This strategic initiative is designed to produce academically rigorous applied research concerning the ideology of religious hatred, supremacy and violence that underlies and animates Islamist terrorism, and contribute to developing the societal consensus, and sound government policies, that are necessary to marginalize, discredit and defeat Islamist extremism, which is contributing to the rise of Islamophobia throughout the non-Muslim world. 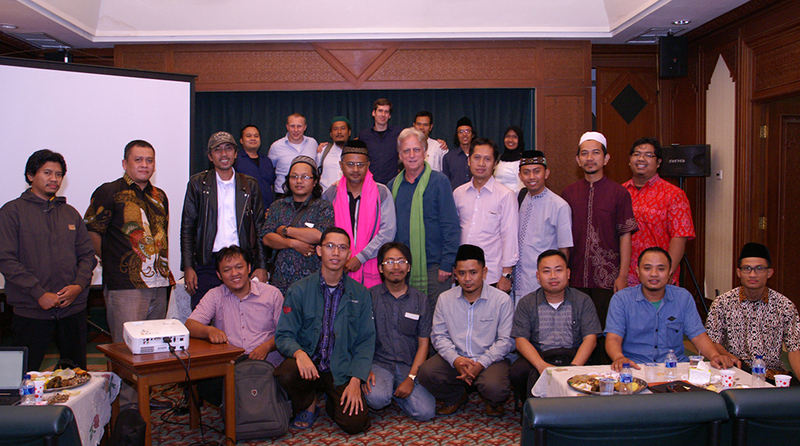 VORTEX partners include the University of Vienna; the Nahdlatul Ulama; GP Ansor (the NU youth movement) and a network of closely-affiliated organizations founded by H.E. Kyai Haji Abdurrahman Wahid—Indonesia’s first democratically elected president and former chairman of the NU executive board—and Kyai Haji A. Mustofa Bisri, former chairman of the NU Supreme Council. These organizations include Bayt ar-Rahmah li ad-Da‘wa al-Islamiyah Rahmatan li al-‘Alamin (Home of Divine Grace for Revealing and Nurturing Islam as a Blessing for All Creation); LibForAll Foundation and its International Institute of Qur’anic Studies (IIQS); Markaz al-Islam al-Mo’asser (the Center for Contemporary Islam, or CCI); and Majma’ Buhuts an-Nahdliyyah (the Forum for NU Religious Teachings, or MBN)—which are active on four continents and have been the subject of extensive international media coverage, as well as counter-terrorism research conducted by the Center for Asymmetric Threat Studies at Sweden’s National Defense College, among others. Deciphering and contextualizing the core of extremist ideology, in cooperation with Muslim clerics acting on both a local and international basis. Our objective is to compete with extremist ideology on a global basis; contest the “monopoly on truth” that Islamist movements have claimed for decades; undermine their digital hegemony; and, ultimately, dismantle their ability to project strategic influence in the Muslim world and the West. 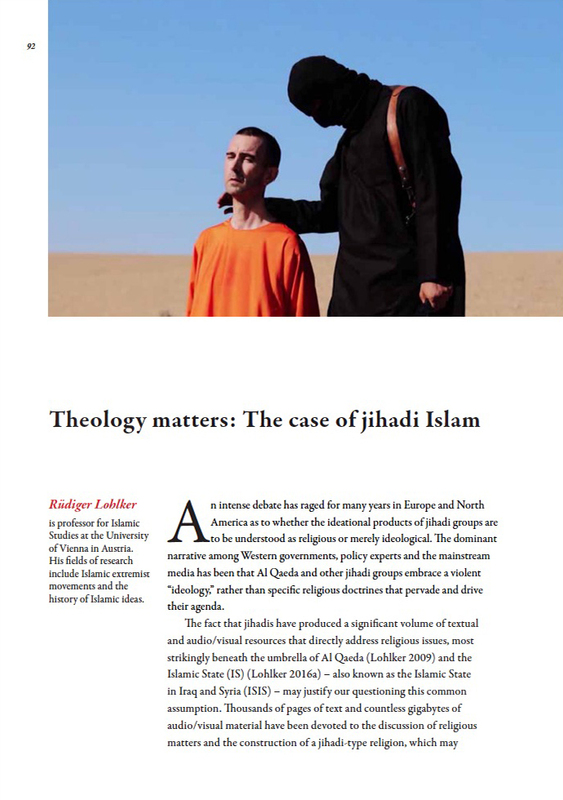 Recently, Dr. Lohlker published a landmark article in Strategic Review, refuting the widely held and frequently asserted view that Western governments, scholars and media outlets should neither critically examine, nor address, the religious dimensions of Islamist terrorism. The historical experience of Islam in Indonesia, and the nation’s long tradition of religious tolerance—as conveyed by the term Islam Nusantara—are essential elements of this work, which seeks to encourage and widely disseminate the view that Islam’s primary message is one of universal love and compassion (rahmatan li al-’alamin). “VORTEX is a project of a research group at the University of Vienna doing research on online Jihadism for many years now and cooperating with the LibForAll Foundation (Jakarta, Winston-Salem, etc.) and the world’s largest Muslim organization, the Nahdlatul Ulama (NU), with around 70 million followers and members. Nahdlatul Ulama offers the insights and experience of Islam Nusantara (East Indies Islam) to the world, as a salutary paradigm of Islam in which religion contributes to civilization, by respecting pre-existing cultures and prioritizing social harmony and peace. Nahdlatul Ulama does not seek to “export” Islam Nusantara to other regions of the world. Rather, it is simply inviting others to recall the beauty and dynamism that emerged from the historic encounter of the spirit and teachings of Islam with the reality of local cultures throughout the world, which gave birth to numerous great civilizations, including that of the East Indies, or Malay, Archipelago. Islam Nusantara is not a new or distinct religion. Rather, it is the expression of Islam that spontaneously flourished amid the culture of Nusantara, and does not conflict with Islamic shari‘a, as understood, taught and practiced by the traditional ahlussunnah wal jamaah (Sunni Muslim) community worldwide. From the perspective of Islam Nusantara, no conflict exists between religion and nationalism. Hubul watan minal iman: “Patriotism is integral to faith.” Whoever lacks patriotism either has no native land, or is devoid of attachment to it. Those who lack a native land will be devoid of history. Within the worldview of Islam Nusantara, Islam does not enjoin its adherents to conquer the world, but rather, to engage in the continuous development of akhlaqul karimah, or noble character and virtue, for it is only through akhlaqul karimah that Islam can manifest as Divine Grace for all creation. The Nahdlatul Ulama calls upon people of goodwill of every faith and nation to join in building a global consensus not to politicize Islam, and to marginalize those who would exploit Islam in such a way as to harm others. The Nahdlatul Ulama will strive to consolidate the global ahlusunnah wal jamaah (Sunni Muslim) community, in order to bring about a world in which Islam, and Muslims, are truly beneficent and contribute to the well-being of all humanity. “The idea behind VORTEX is to take into account that a sustainable competition with religiously legitimated extremism has to be built on a thorough religious understanding that is competing with, e.g., the IS version of Islam: pluralistic religion vs. religious totalitarianism, tolerance accepting the other vs. exclusivism negating the other, democratic law-making by humans vs. so-called law of God, secular nation state vs. Islamic state. The government of Austria—through the Austrian Ministry of Interior—has provided direct support for the creation of VORTEX, which both Western and Arab media outlets have hailed as a strategic initiative of global significance, with the potential to serve as an example of best practice for Western governments and intergovernmental organizations, such as the United Nations and the Organization for Security and Cooperation in Europe (OSCE).